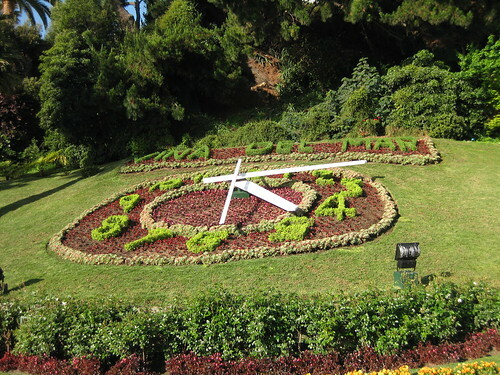 When visiting Viña del Mar, one obligatory tourist destination is the Viña del Mar flower clock. This flower clock sits at the foot of a hill overlooking the Pacific Ocean. The flower clock was designed by Oscar Martinez Amaro and originally built in 1962 at the start of the World Cup games in Chile. The clock mechanism is Swiss and the arms are over 9 feet long (3 meters) each. You won’t be the only tourist taking pictures with the flower clock. 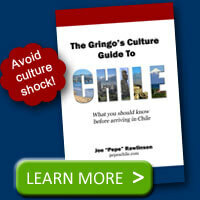 In fact, you’ll likely be surrounded by Chileans taking pictures too. Flower clocks aren’t unique to Chile or Viña del Mar. In fact, the idea for the flower clock was brought over from Europe. However, the temperate Mediterranean climate means something is almost always in bloom in this coastal city. Your best time for pictures will be in the late afternoon when you can have the sun to the west and clearly illuminate your smiling face and that of the flower clock. 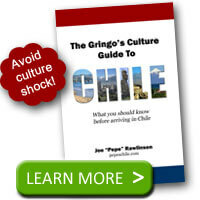 Stroll up the hill behind the flower clock to get a glimpse of a very nice Chilean neighborhood. In fact, the Viña del Mar flower clock is in the same neighborhood as the Cerro Castillo Presidential Palace.